Medicare and Medicaid are two government-supported entitlements that help senior and disabled citizens pay for things such as doctor visits, hospital stays, medications, and long-term care. There are different parts to Medicare. For example, Part A covers hospital expenses, Part B covers doctor bills, and Part D primarily covers pharmacy costs. Medicare will also cover anywhere from 20 days to 100 days of nursing home care, with a co-pay, following a minimum three-night hospital stay. On the other hand, Medicaid is only available to a few people, and there are some fairly tight rules regulating Medicaid access and coverage. Unfortunately, with complexity comes the potential for misinformation and misunderstanding, and Medicaid is no exception. For example, it’s a common misconception about Medicaid that you have to be completely broke to qualify. Or, that if you are on Medicaid, the state (and some believe the nursing home) will take your home. Both the Congress of the United States and the General Assembly of North Carolina have established certain rules protecting people in the face of the daunting nursing home bills. Lawmakers have put these rules in place so that healthy husbands and wives won’t have to sacrifice their life savings or be put out on the street due to a loved one’s extended nursing home care. Unfortunately, there are potential pitfalls to this process, and not having the right information in hand can have devastating consequences. Thankfully, you can protect your family’s assets from the devastating costs of long-term care by arming yourself with real facts and making informed decisions. 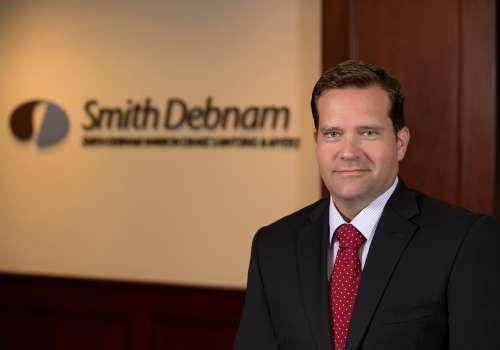 If you have questions or would like more information on this topic, please contact attorney Brett Thompson at 919.250.2155, or by email at bthompson@smithdebnamlaw.com. Brett Thompson devotes his practice exclusively to elder law matters, concentrating his focus in the areas of Estate Planning, Probate Litigation, Medicaid Planning, Guardianship, and VA Benefits. He works to ensure that clients’ assets and rights are protected throughout their post-retirement years by leveraging his knowledge and expertise to counsel and assist clients through all phases of life planning.